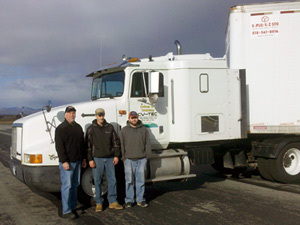 The Tractor Trailer Driver Training Program is a 60-hour, experiential program offering in-struction on a variety of topics such as: Introduction to the Tractor Trailer, Vehicle Control Systems, Inspections, Basic Control, Proficiency Development, Safe Operating Procedures, Advanced Operating Procedures, and Street Driving. You must know how to use a “standard” /manual transmission (e.g., regular automobile). All necessary preparation to take the NYS DMV CDL Class A Road Test. Separate Road Test fee required by DMV at the time of exam: $40.00.